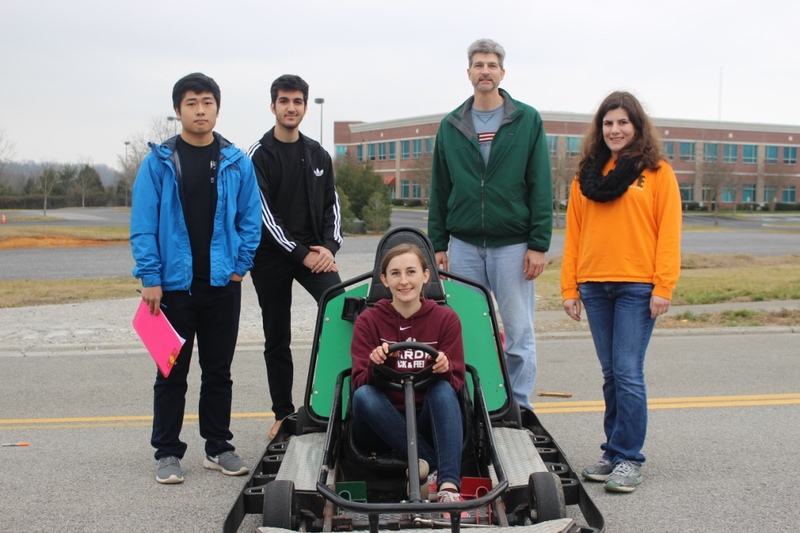 UT’s EcoCAR 3 team is supporting a Knoxville area high school as they have been experimenting with the efficiency of E85 and E10 gasoline when used in a go-kart. 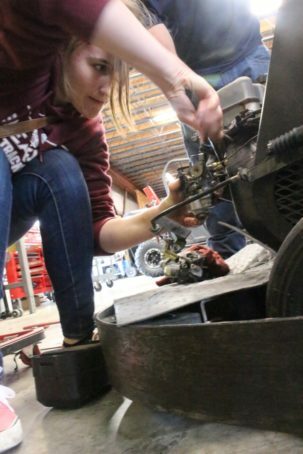 Bearden High School has a STEM Scholar Program that divides high school seniors based on their areas of STEM interest. Team Tennessee has been working with the engineering group to create a research project that the high schoolers can present in the Southern Appalachian Science and Engineering Fair later this school year. 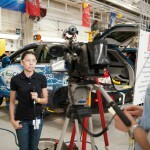 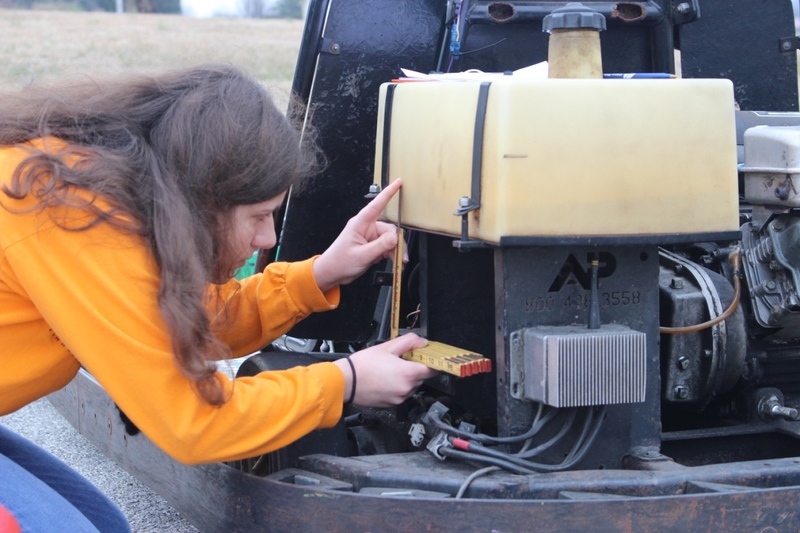 For the research project, the Bearden group has been wondering about the difference in efficiency of E10 and E85 gasoline. 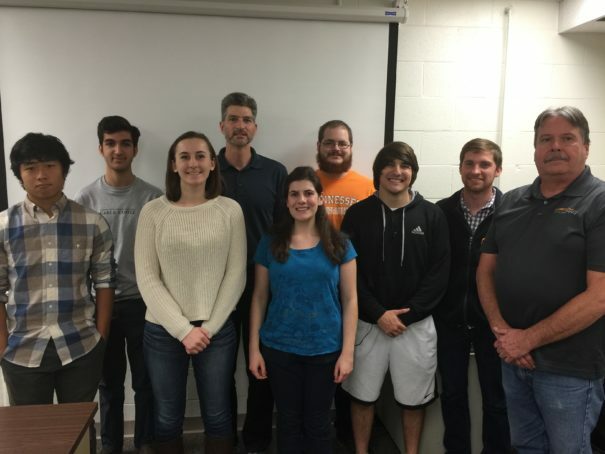 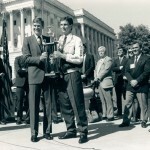 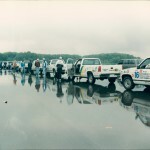 To test this difference in efficiency, they borrowed a go-kart from Sir Goony’s Fun Times in Knoxville, met with Team Tennessee to design the project, and then finally ran their experiment in late February with the prediction that E10 gasoline would be more efficient than E85. 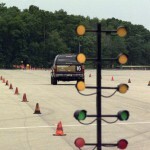 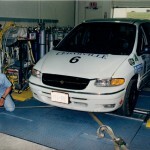 To conduct their experiment, the group filled the go-kart’s gas tank with E10 and calculated the volume of gasoline before they began driving. 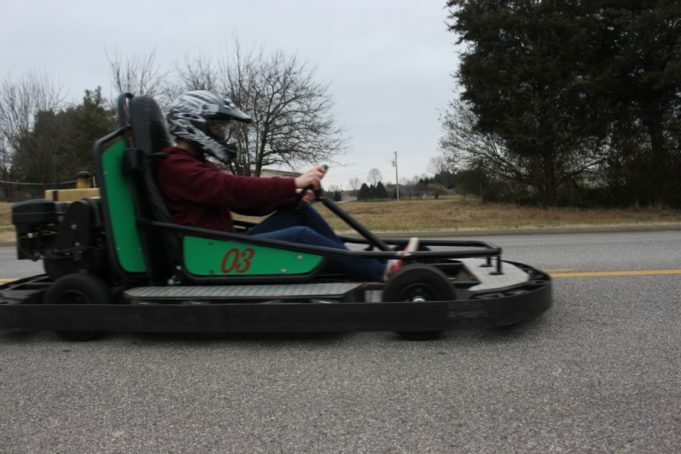 Then they drove the go-kart around a circuit for 6 miles and then calculated the volume again to see how much fuel they burned. 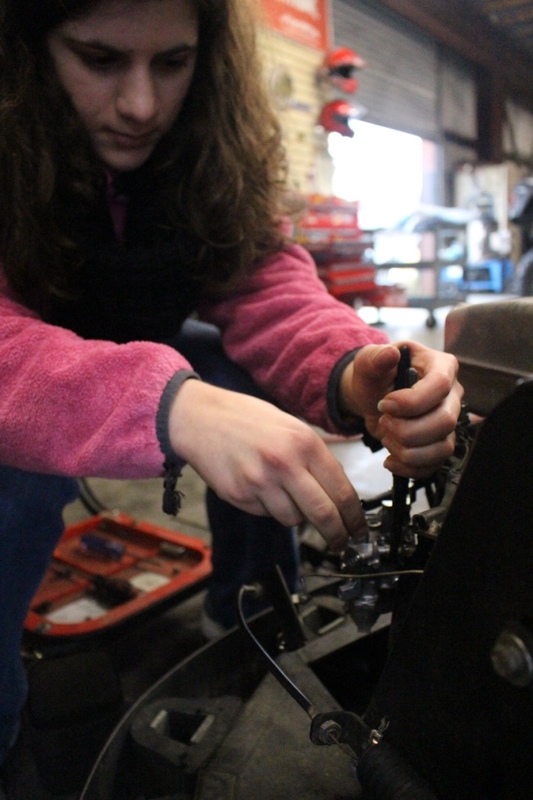 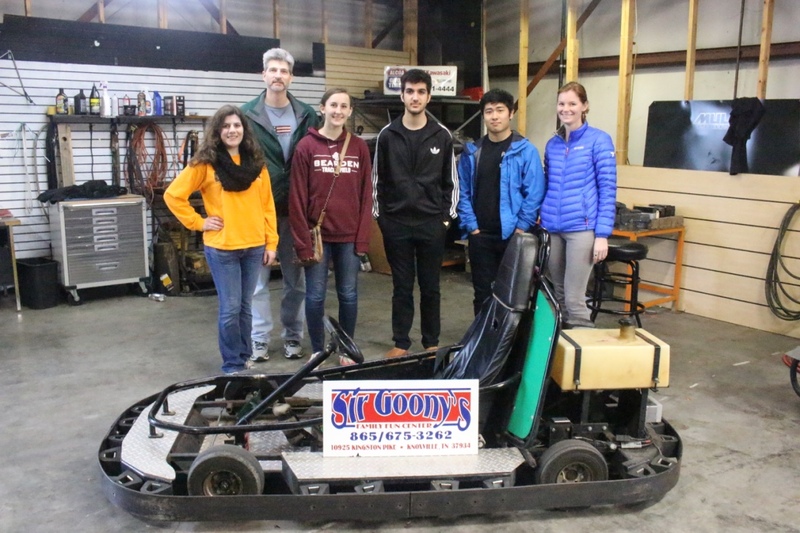 The team then brought the go-kart to Alcoa Good Times, a nearby powersports dealership, who guided the students through the process of replacing the carburetor with one that is compatible with E85. 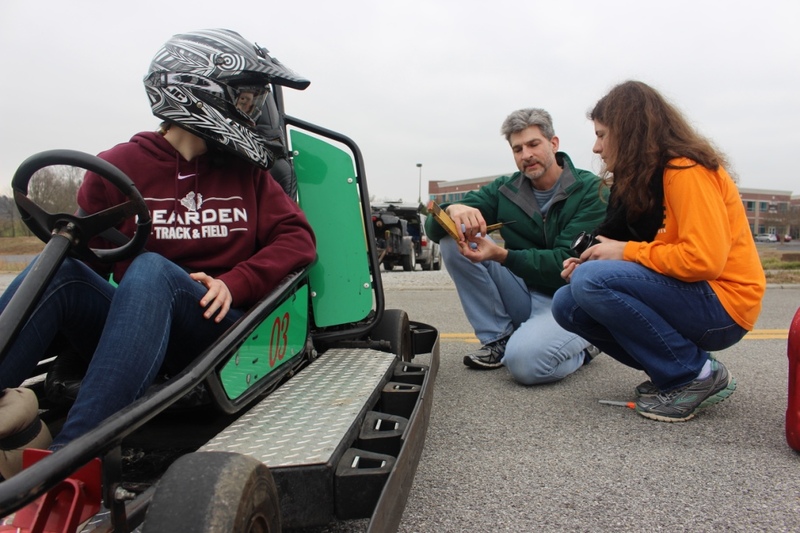 Then, the students measured the volume of the E85 gas tank, drove the go-kart on the same six-mile circuit to test it, and measured again, just as they did with the go-kart when it was using E10.